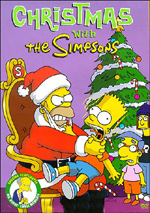 Celebrate the Spirit of the Season with this Holiday Classic! 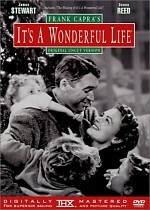 Capture the spirit of Christmas with this delightful animated classic! 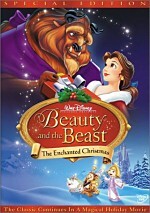 Based on one of the most beloved holiday tales of all time and featuring the voices of some of today's brightest stars, this enchanting, heartwarming film is a very merry treat the whole family can enjoy! "Bah humbug," says Ebenezer Scrooge, the grumpy miser who would rather count his money than celebrate Christmas. But as yuletide cheer spreads through all of London and two friendly mice try to change Scrooge's ill-tempered ways, Scrooge receives three unexpected visitors - the Ghosts of Christmas Past, Present and Future - who take him on a wild and wonderful journey and help him discover the true meaning of Christmas. Just what we need – the nine-millionth adaptation of Charles Dickens’ A Christmas Carol! IMDB lists 40 programs with that title, but that doesn’t remotely begin to account for all the takes on the story. For one, it omits editions with altered names like Scrooge or Scrooged. In addition, many TV shows did their own versions, and we also have skillions of versions on the stage and elsewhere. Is there anything new to do with the tale? Probably not, though the animated Christmas Carol – The Movie gives it a shot. It adds new elements and emphasizes some background bits from the traditional tale. Unfortunately, it does all this in a poor way and loses sight of what makes the story so compelling after all these years. Given the fame of A Christmas Carol, a synopsis seems somewhat pointless, but I’ll provide one anyway. Ebenezer Scrooge (voiced by Simon Callow) runs his own business and is clearly a skinflint and a jerk. Isolated from others by his own accord, on Christmas Eve the misanthrope receives a visit from the ghost of Jacob Marley (Nicolas Cage), his old partner. Condemned to remain in limbo, Marley warns Scrooge that he’ll suffer the same fate if he doesn’t clean up his act. Scrooge initially discounts this incident, but then he receives additional visits from other ghosts. One takes him to Scrooge accompanies Christmas Past (Jane Horrocks), where he watches his childhood emotional pain as well as some romance and his ultimate shift from human affection to monetary gain. From there he goes with Christmas Present (Michael Gambon), where he sees the poor but loving family of his employee Bob Cratchit (Rhys Ifans). Scrooge learns that Cratchit’s son Tiny Tim will die without significant medical attention. Lastly, the Ghost of Christmas Future shows Scrooge his own fate as well as that of Tiny Tim. When the ghosts finish with Scrooge, he changes his ways and becomes a barrel of laughs. What an odd piece of work! Much of Carol screams “cheap straight-to-video” tripe. The film sure looks like something created for about ten bucks and intended for indiscriminate holiday buyers. However, it appears that Carol actually received theatrical screenings in some territories; IMDB lists a UK run among other locales. It apparently never made it to the US, however. In addition, Carol boasts a cast of voice actors with some real name recognition. Kate Winslet plays a major role, and Nic Cage shows up briefly. Even Simon Callow possesses some familiarity, particularly for fans of Amadeus. None of that helps make Carol anything more than a genuinely terrible film. Strangely, the filmmakers decide to tamper with the classic via some new and unnecessary elements. Winslet plays Belle, a nurse who once dated Scrooge. She works for Dr. Lambert (Arthur Cox); he helps kids, but when he doesn’t pay his bills on time, he goes to debtor’s prison. Belle writes Scrooge to appeal to his prior humanity but he takes quite a while to actually read the letter. In an attempt at whimsy, this Carol also prominently features a mouse named Gabriel. The film only partially anthropomorphizes the rodent. He doesn’t speak but he shows an intelligence and connection with the humans that elevates normal mouse behavior. He’s a pointless character who exists solely to give the movie a cute and cuddly little critter. Actually, Gabriel actively undermines the plot through his interactions with Scrooge. Early in the film, we see that the miser enjoys an affection for the rodent. This makes Scrooge’s later transformation less impressive and surprising, as we can already see a cheerful side of the man. Belle also offers a weak addition to the film. As with Gabriel, she seems more like a work of marketing synergy than a real personality. Most versions of Carol totally lack any hint of romantic possibilities for the present day Scrooge. I never saw that as a flaw, but apparently those behind this Carol decided that area needed fixing. Some prior iterations featured a love in Scrooge’s past, but this one decides to make her a current force in the story. It doesn’t work and it just feels tacky. In addition, all these alterations badly harm the pacing of the movie. Even at a mere 77 minutes, it seems too long, mainly because the set-up takes forever. This means an interminable wait to get to the meat of the tale: Scrooge’s visitations by the ghosts. The added elements contribute nothing positive and only make the film move more clumsily. I might more readily forgive the clumsy and cheesy integration of the mouse and the former flame if the execution of other elements seemed stronger, but unfortunately, Carol comes across as a very poor piece of work. It presents some of the crummiest animation I’ve seen in a while. The backgrounds look decent, but the characters come across like cardboard cutouts, and their movements are broad and artificial. The animators try desperately to add life to the participants via wild physical acting. The characters wave their arms relentlessly and gesticulate like mad. This just makes them seem all the more unnatural and fake. If forced to say something positive about Christmas Carol – the Movie, I suppose the voice acting seems decent. Nonetheless, all involved should regard this atrocity as a blotch on their résumés. A cheap and pointless retelling of a classic, it never becomes anything more than a tacky and cheesy piece of product. It’s possible that crappier versions of A Christmas Carol exist, but happily, I’ve not yet seen one. 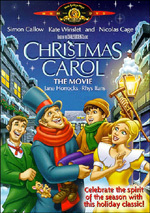 Christmas Carol – The Movie appears in an aspect ratio of 1.33:1 on this single-sided, single-layered DVD; due to those dimensions, the image has not been enhanced for 16X9 televisions. It appeared patently obvious that the DVD represented a pan-and-scan transfer. The picture often looked tightly framed on the sides, and elements often got a bit cropped. Many obvious artificial pans also occurred. To add insult to injury, the end credits used a letterboxed format! The quality of the transfer didn’t do anything to overcome the annoyance of the pan-and-scan-related issues. Sharpness presented a moderate concern. The movie usually looked acceptably accurate and well defined, but it also showed more than a few soft shots. Wide images demonstrated the least detailed images; they never became terribly fuzzy, but they lacked crispness. The film took on a moderately gauzy look at times. No problems with jagged edges or moiré effects occurred, and I detected no signs of edge enhancement. Print flaws stayed modest but seemed a little more substantial than I expected for a movie from 2001. Occasional examples of grit and specks popped up, and the movie looked a little grainy at times. Colors varied but appeared somewhat drab. Some of this likely resulted from the production design to match the glum London setting, but too many of the hues came across as flat and lifeless. While the tones were never atrocious, they failed to present much vivacity. Blacks appeared acceptably dense and dark, but shadows tended to seem a bit overly thick and heavy. Those shots looked somewhat murky. The image of Christmas Carol never seemed bad, but it presented more problems than I expected from such a modern flick. The Dolby Surround 2.0 soundtrack of Christmas Carol seemed quite lackluster for a recent release. The soundfield heavily emphasized the front speakers. Music presented somewhat vague stereo definition, and while effects mostly seemed to be accurately placed, not a lot happened. Some fairly well localized elements appeared, but mostly the definition appeared a little loose. Surround usage was very modest. The rear speakers reinforced some music and ambience but did little else. Audio quality came across as acceptable but nothing better. Speech was a little thin but remained reasonably distinct and suffered from no problems with edginess or intelligibility. Music lacked much heft. The score was clear and without obvious concerns, but the music demonstrated little life and seemed a bit muted. Effects were clean and fairly accurate. The appearances of the ghosts added some decent bass response and made the material a bit more effective than during other occasions. Overall, however, this remained an unambitious and undistinguished soundtrack that only merited a “C”. A few extras fill out the DVD of Christmas Carol. We open with a featurette called Making Christmas Carol – the Movie. This program fills 12 minutes and 56 seconds as it mixes movie snippets, behind the scenes elements, and interviews with producer Iain Harvey, director Jimmy Murakami, art director Errol Bryant, background artist Chris Mensah, animo operator Chris Gavin, and actors Simon Callow, Juliet Stevenson, Kate Winslet. A moderately informative piece, it covers the actors’ approaches to their roles and animation in general, adapting Dickens, visual design, and various animation techniques. A few too many film clips show up, but otherwise this is a reasonably tight and efficient little program. After this we find the film’s original theatrical opening and ending. These live-action bits lasted two minutes, 28 seconds, and 87 seconds, respectively. Apparently these pieces ran during the movie’s big screen presentations. They set up the movie as a dramatic reading from Charles Dickens (Simon Callow). I have no idea why they were cut from this DVD; while they’re not very useful, I don’t understand why they got the boot. Next we get a music video for “What If” by Kate Winslet. The actress lip-synchs the insipid song amidst clips from the movie. Katie’s a cutie, but the lady cannot carry a tune. Finally, the disc presents some ads. In addition to the movie’s theatrical trailer, we get “Fun Holiday Previews” and “Coming Soon Video Previews” for some MGM releases. There might be some way to do something new and fresh with A Christmas Carol, but in this animated adaptation, you’ll find nothing to make it stand out from the rest. Actually, that’s not true; Christmas Carol – the Movie deserves mention as possibly the crummiest adaptation of the Dickens classic that I’ve seen. The DVD features below average picture, mediocre audio, and only a few small extras. With many superior versions of the tale available, I see no reason anyone should bother with this drab and limp edition.